Matt the Cat loved this soup (once we’d given her a spoon). 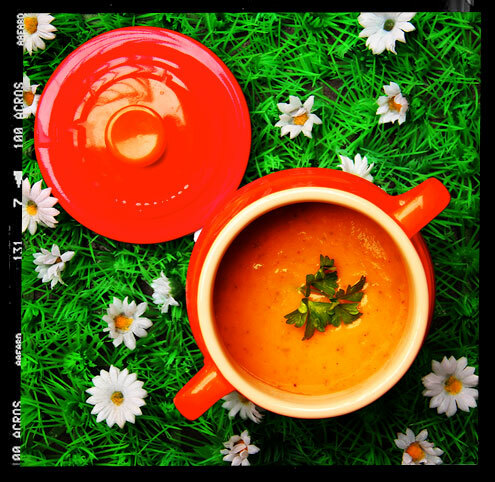 Makes: Enough for 2 people as an evening meal, or 4 as a light lunch. Pour a good slug of olive oil in a large pan and add the onion and garlic. Cook on a low heat for about 5 minutes, then add the cumin, ground coriander and ginger and cook for another couple of minutes. 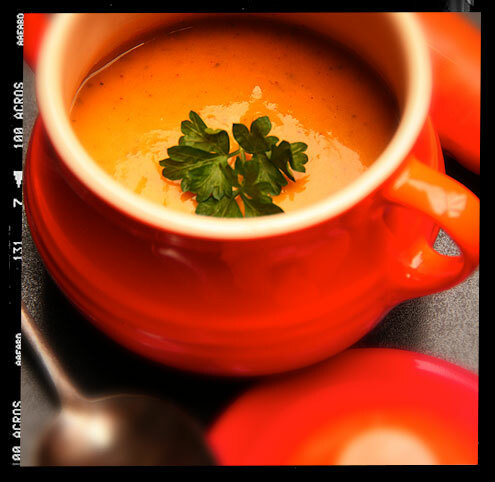 Add the potato, carrots, stock, and several generous twists of black pepper. Bring to the boil, reduce the heat and simmer for about 20 minutes until the vegetables are tender. Add the chopped coriander and blend until smooth. Return to the pan and add the orange juice and harissa to taste. Bring back up to temperature, squeeze in the lime juice and serve with a sprinkling of coriander leaves. We ate ours with some freshly baked sourdough rolls. Verdict: Sweet and spicy and delicious. So good Happy Harry put it on the menu. 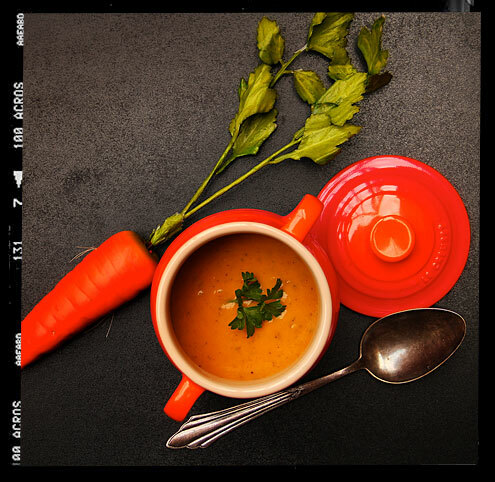 Alternatively you could try this Carrot & harissa dip or this Carrot, Ginger & Honey Soup, both delicious. Drink: A bottle of white. 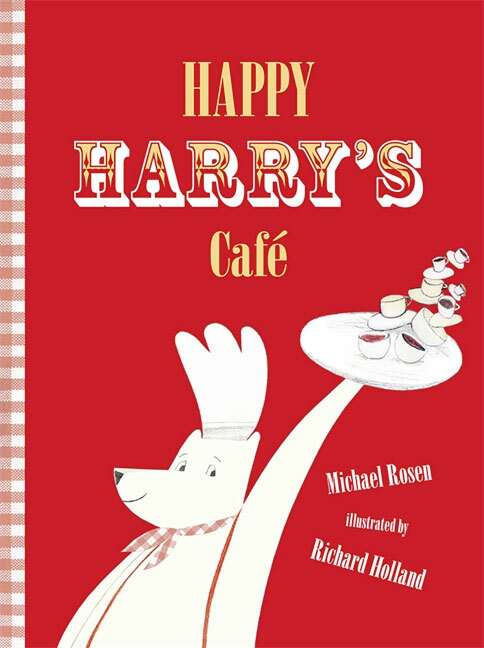 Happy Harry’s Cafe – A favoured night time read here at Yumblog Cottage.